The South African Military Veterans Association of Australasia (SAMVOA) released this service cross over the 2013 Easter Weekend, supposedly in recognition of service by white conscripts on behalf of the Apartheid Christian Nationalist government, a stark reminder that the South African conflict involved a particular faith perspective to the detriment of other faith groups. A website calling itself “The home of the South African Service cross ‘ons dienskruis” has been floating advertising on social media, in an effort to attract attention from conscripts as well as permanent force members who served in the apartheid regimes military. I have tried to order this medal on numerous occasion being an ex-SADF member who did service at Infantry School and 7 SAI from 1983 to 1985. I have completed all the mandatory details as requested for the “Nominal Roll” before proceeding to “checkout” to pay with my credit card, but I keep getting a message that displays “invalid data” . Please help. I’m sure there are many vets who have encountered the same problem. Hi Michael , were you able to purchase the service cross? Michael, have you contacted the support person at support@saservicecross.com? 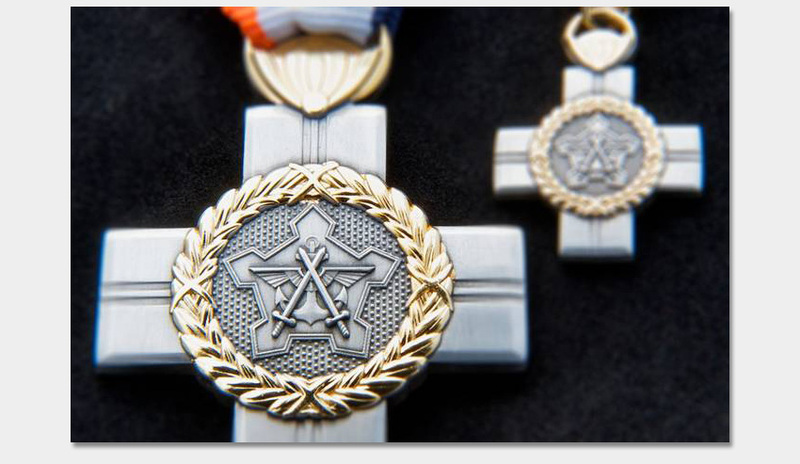 Want to purchase South African Service Cross “DIENS KRUIS” but none of the links to place an order or access to the websites are working. Is this still available? I did my national service in 1SSB C Sqdn.Zeerust from 1972 _ 1973. Then did my camps and border stints in Regiment Vrystaat until 1982. Do I qualify to order the service Cross. My force no.was 68389261 BT.